Here are the best 2018 Black Friday & Cyber Monday Sony a7 III deals, sales and rebates this holiday shopping season. Offering excellent image quality, great dynamic range, low noise at higher ISO speeds, high-speed continous shooting, rapid focus, numerous focus points and high-quality 4K video recording, the Sony a7 III is a well-priced, well-rounded camera suitable for all kinds of photography. 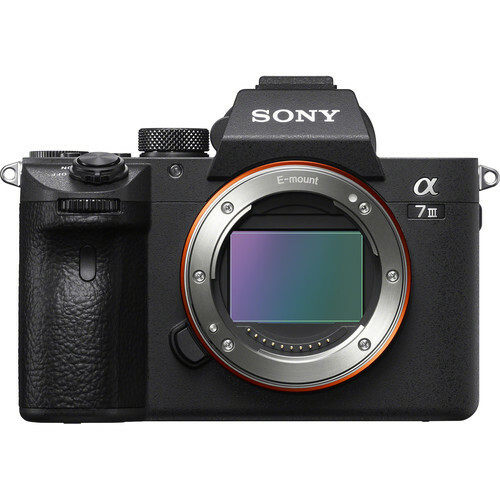 So, many review sites select the Sony a7 III as the best $2,000 camera you can buy on the market – the Sony a7 III is selling like hot cakes in 2018 and of course it is one of the best selling camera in 2018. In addition, Sony a7 III earned an impressive 89% overall score and Gold Award from the experts at DPReview. So just get this amazing mirrorless camera this holiday shopping season! Sony a7 III with 24-105mm Lens Kit: $3,296 at Amazon, B&H. Read more: Sony Mirrorless Camera Black Friday 2018 and Best Lenses for Sony a7 III.